You are here: Home » Supplemental Security Income » How does the Social Security Administration decide how much SSI to pay me when I get an SSI approval? How does the Social Security Administration decide how much SSI to pay me when I get an SSI approval? Learn how SSI benefits are calculated after an SSI approval and what kinds of income are countable when determining your SSI payment amount. After an SSI approval, benefits will be paid for the first full calendar month after you apply or after you become eligible for SSI, whichever is later. The Social Security Administration, known as SSA, figures your federal SSI benefit by deducting your countable unearned income and your countable earned income from the maximum Federal Benefit Amount of $750 for individuals and $1,125 for a couple. The remainder is your Federal Amount Payable. Some examples will follow later in this article. Some states pay a supplementary benefit to individuals who qualify for SSI or do not qualify only because of income or resources that are above the federal limits but below the state’s limits. Some states administer their own supplements and require application or contact with the state. Other states turn the administration of their state supplement over to the Social Security Administration. If your state has a supplement that you could qualify for and the state handles its own administration, your Social Security office will direct you to the appropriate agency to make application. For a list of states with state supplements, see Index of States That Supplement Payment When You Apply for SSI Benefits. After you get an SSI approval, your ongoing financial eligibility for SSI is decided on a month-by-month basis. This means you can be eligible in one month, not in the next, and then eligible again in the following month. During your first three months of eligibility, your SSI benefit is calculated, non-recurring income is counted only in the month that it is received. After that, unless eligibility is interrupted, your payment will be based on income you received two months before. For example, if you became eligible in March 2019, beginning in June (the fourth month of eligibility), your income two months before, April’s income, would determine June’s payment; May’s income would determine your July payment, and so on. From this example, we can see how important it is to report changes by the tenth of the month after the change. Reporting on time minimizes underpayments and overpayments, which you might have to repay. If eligibility is interrupted, the first three months that you are again eligible are treated like a new claim for purposes of calculation. This calculation convention is also used when an adult SSI recipient has a change in marital status or the parents of a child receiving SSI have a change in marital status and when the SSI-eligible child leaves a parent’s home. For a discussion of which types of income are countable and which are not, please see our articles I Want to Work. Can You Tell Me How to Get SSI While Working? and When I Complete My SSI Application Form, It Asks Me to Declare My Income. Does All My Income Affect My SSI? You will not be eligible for benefits in any given month if your countable resources or income exceed the limits. Income you receive throughout the month counts in that month, but resources are tallied up only the first day of the month. If you meet the resource limit on the first, you are eligible throughout the month in terms of resources. You will not be eligible for benefits if you reside in a public institution for a full calendar month or thirty consecutive days—even if your income and resources are below the limit. Similarly, you are not eligible if are out of the fifty U.S. states and the North Mariana Islands for thirty consecutive days, you are a fugitive or have violated parole, or your non-citizen immigration status changes to a category that is not eligible for SSI. Lastly, if you give away a countable resource or sell it for less than its fair market value, you could be barred from receiving benefits for up to thirty-six months. The length of time you would be ineligible depends on the value of what you gave away or the difference between its fair-market value and the amount you sold it for. Earned income is any income that you receive as the result of work that you have performed either as an employee or through self-employment. Earned income for employees is gross wages. Earned income for self-employed workers is net income. Unearned income is any income that is not earned. Deemed income, which is any portion of a spouse’s, an alien sponsor’s, or a parent’s income in the case of a disabled child that is counted as the SSI applicant’s income. For a discussion of deemed income see our articles Why Do I Have to Give Information about My Family’s Income and Assets When I Apply for SSI Benefits? Notice how SSI supplements the individual’s other income so that his total income from all sources is $1,291.00. If the person in the example lives in a state with a state supplement, the state may pay additional funds. Also, in many states, SSI eligibility means eligibility for Medicaid health insurance. If the individual had only earned income, then SSA would have subtracted the $20 general exclusion from the wages in addition to the $65 exclusion before dividing the remaining earnings in half to determine countable earnings. A married couple both qualify for SSI benefits. The man has $300.00 in V.A. Compensation and earns $500 a month in a job. His wife receives $35 a month from a friend and works earning $400 monthly. If a person is living in a private or public nursing home where Medicaid is paying more than half of the care costs when he gets an SSI approval, the monthly federal SSI benefit will be $30.00 monthly to pay for personal-care items. If the individual has unearned income, any amount above the $20 exclusion is counted to reduce the $30.00 to the correct payment level. For example, an SSI recipient receives a $40.00 a month payment from a trust account and the structure of the trust is such that the payments from the trust are income for SSI but the principal, which is not accessible to him, is not a resource. After the $20 general income exclusion, he would have countable income of $20.00 and the calculation of his SSI payment would be $30 less $20 income resulting in a $10.00 monthly SSI payment. Your SSI payment may increase after you receive an SSI approval even if your other income and your living arrangements remain the same. If there is an increase in the Consumer Price Index, then you will receive an increase in your SSI beginning in January of the following year. The only exception is that the $30 Federal Benefit Amount for residents of a Medicaid institution is not eligible for a cost-of-living increase. The percentage of increase is often announced in the newspapers, so you may see advance notice there. In any event, if SSI recipients are to receive an increase due to a cost-of-living adjustment, in December you will receive a letter from the Social Security Administration, which will give your new payment amount for January. 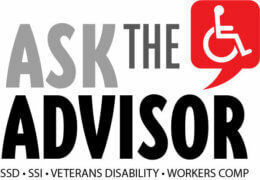 How is veterans disability compensation calculated?